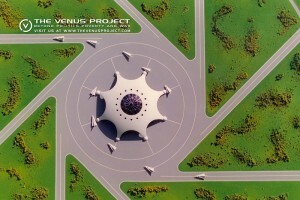 The Venus Project proposes different transportation solutions for different purposes. 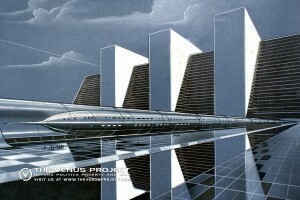 The transportation within the city and between cities would be shared between autonomous transveyors, motor vehicles and maglev trains. Sea freight would be carried out by freighters and sea crafts. Less reachable destinations would be serviced by aircrafts. The proposed solutions below are just examples of what could be developed as means of transportation if we apply science and technology intelligently. 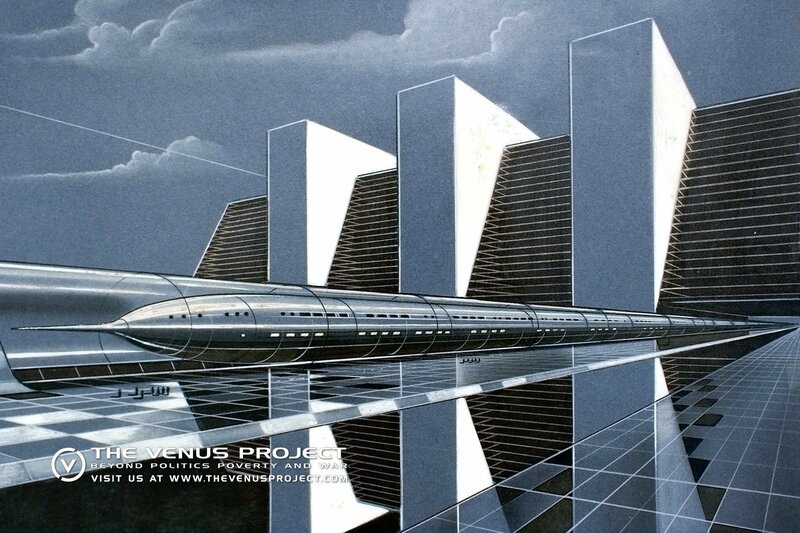 Trains traveling on magnetic levitation reduce resource waste and shorten the average travel time. These maglevs travel with supersonic speeds almost continuously. While approaching a station, the maglev reduces its speed and passenger compartments are shifted to the side or elevated above as the entire train passes through the station. At the same time, other compartments with passengers getting on board are shifted or lowered in their place. This method allows the main body of the train to remain in motion, thus conserving energy. In addition, the removable multi-functional compartments could be specially equipped to serve most transportation purposes. Helicopters would have stationary center around which the rotors, propelled by engines at their tips, would spin. They will be designed to combine the most desirable attributes of fixed winged aircraft, helicopters, and flying platforms. Transcontinental travel will be achieved through advanced aircraft and high-speed maglev trains, all integrated in a worldwide transportation system. Aerial view of an airport model. 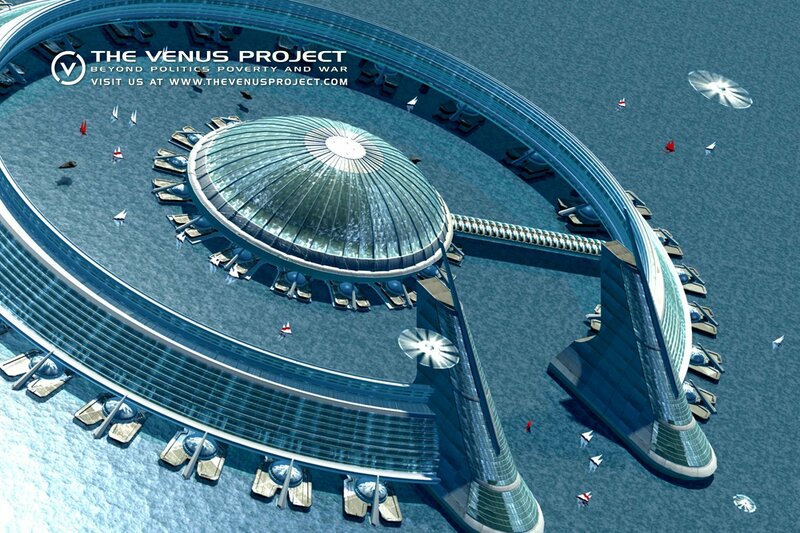 The central dome of the airport would contain air terminals, maintenance facilities, service centers, and hotels. The runways are arranged in a radial configuration, which allows airplanes to easily take off into the prevailing winds and to avoid dangerous crosswind landings. Emergency stations are located at the edge of the runways, which are fully equipped with built-in fire fighting equipment and emergency arresting gear. All of the runways will be equipped with built in sprinkler systems in case of emergency. 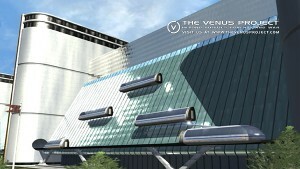 Passengers will be transported to and from the airport by underground conveyors. Modular freighters consist of floating, detachable sections that can be rapidly loaded or unloaded. The number of sections can be varied depending on the amount of freight to be delivered. When all of the modules are connected, they can be propelled as a single unit. Then, when the freight arrives at its destination, the selected modules can be disconnected and towed to docks. The front and back of the freighters would then join into one unit for the return trip thus avoiding the return of empty sections and conserving energy. Sea craft will be available for recreation, exploration, and other submersible activities. 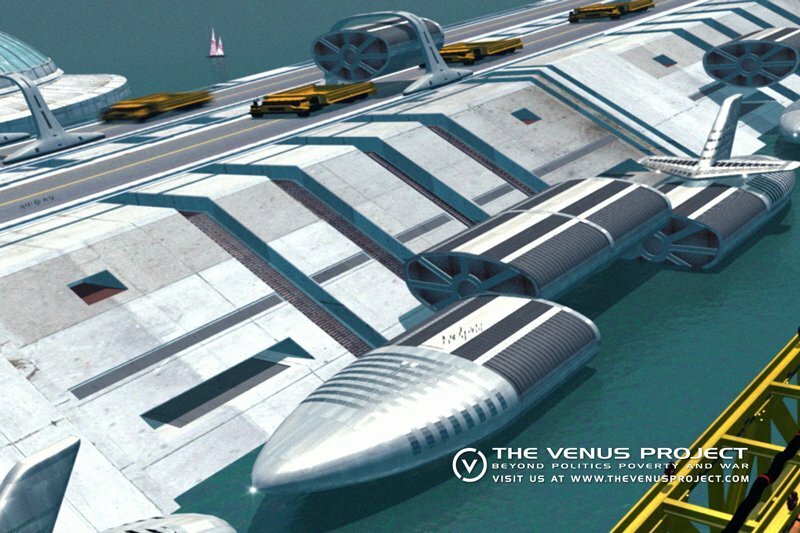 Their hydrodynamic designs will permit high speed, safe and energy efficient travel. They will provide maximum comfort for the passengers. 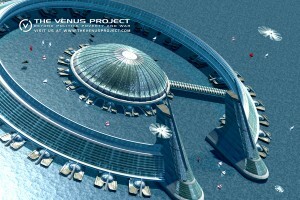 Their internal construction will include flotation chambers, which will render them practically unsinkable. 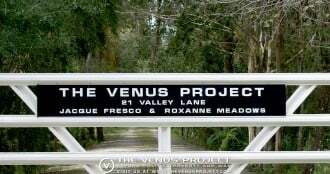 They can be self-maintained and fully automated. Instead of motor vehicles in the city, all transportation is carried out by circular conveyors that are called transveyors. They move radially, circumferentially and vertically and serve the function of elevators and buses. A circular route around the outer perimeters would connect transveyor systems to radial and vertical extensions, making it possible to travel to any part of the city quickly. 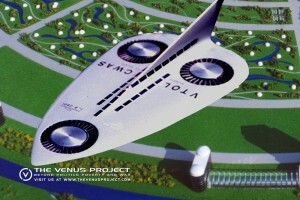 A VTOL aircraft flying overhead a circular city. In a resource based economy, a lot more emphasis can be put on advancing medical, emergency, service, and transportation vehicles. Some aircrafts will use vertical take-off and landing (VTOL) system with three synchronous turbines, which allow for exceptional maneuverability. Some aircrafts can be controlled by electro-dynamic means eliminating the need for ailerons, elevators, rudders, spoilers, flaps or any other mechanical controls. In addition to providing better maneuverability and aerodynamic qualities, this innovative technology will also serve as an anti-icing system. In the event of an emergency landing fuel will be ejected to prevent fires. These VTOL aircrafts are designed to lift passengers and freight by the use of ring-vortex air columns. VTOL aircraft will be propelled by a variety of techniques, from ducted fans to vectored jets.